Browse Artists and Groups John Lyman, F.R.S.A. John Lyman was both a modern Canadian artist of enormous importance and a highly influential figure in the promotion of modernism among the artistic community in Quebec. He was born to American parents in Biddeford, Maine in 1886, by which time his father had already received his Canadian citizenship and was living in Montreal. After a nondescript childhood, Lyman abandoned university after a couple of years at McGill and shortly thereafter chose to study art in Paris and London. 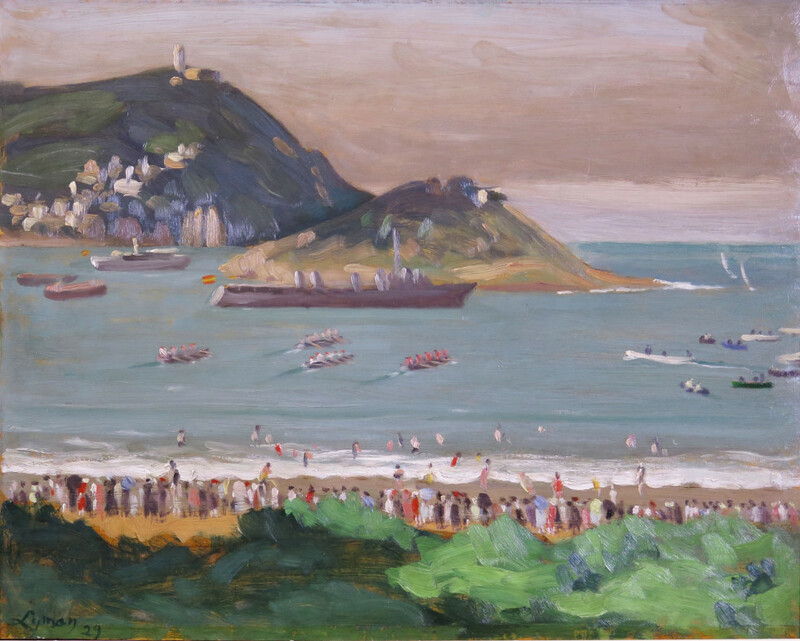 Lyman knew James Wilson Morrice and was a tremendous admirer of Morrice's work that was exhibited in Paris at the time. In these early Parisian days, Lyman availed himself of the opportunity to study in the newly opened Academie Matisse - Henri Matisse being a master who Lyman held in highest esteem. In 1913, Lyman exhibited his paintings at the Art Association of Montreal where they became the objects of strong and derisive criticism from the local press. For all intents and purpose Lyman rejected Canada, living for the most part in Europe for the next eighteen years. Louise Dompierre, former CEO of the Art Gallery of Hamilton talks about Lyman's return to Canada in the autumn of 1931. She explains that Lyman's attitude had changed and that this "broadly educated man [now] matured and experienced … came back with a sense of mission and a need to proclaim his own views. He saw the need for a number of organizations that were to provide artists and the public with new opportunities to display and enjoy art [...] he saw Canada as a place where things could be done [...] Lyman made the upcoming decades a period of cultural radicalism parallel to the political radicalism of the 1930s. In the fall of 1931, Lyman joined the teaching staff of the Atelier, a local art school. He then became a regular columnist in the Canadian Forum, a highly influential cultural periodical of the day. He and his wife, Corinne St-Pierre, hosted young artists, both French and English in their home and he held Wednesday evening meetings in this studio where artists, interested businessmen and others could participate. Come the late 1930s, Lyman was the catalyst to the Contemporary Arts Society (CAS), their objectives stated as being to "give support to contemporary trends in art and further the artistic interests of its members by any means at its disposal." Lyman himself exhibited in most of the CAS exhibitions as well as with the Eastern Group of Painters and at Montreal's Dominion Gallery. From 1949 until 1958, Lyman was active in the Department of Fine Arts at McGill University, ultimately as Chairman of the department. Please send me more details about the following artist. John Lyman, F.R.S.A. inscribed in ink in an unknown hand, "Régattes [sic] à San-Sebastián / par John Lyman 1930" (verso, lower centre). sketch on reverse relates to St. Jean de Luz series.